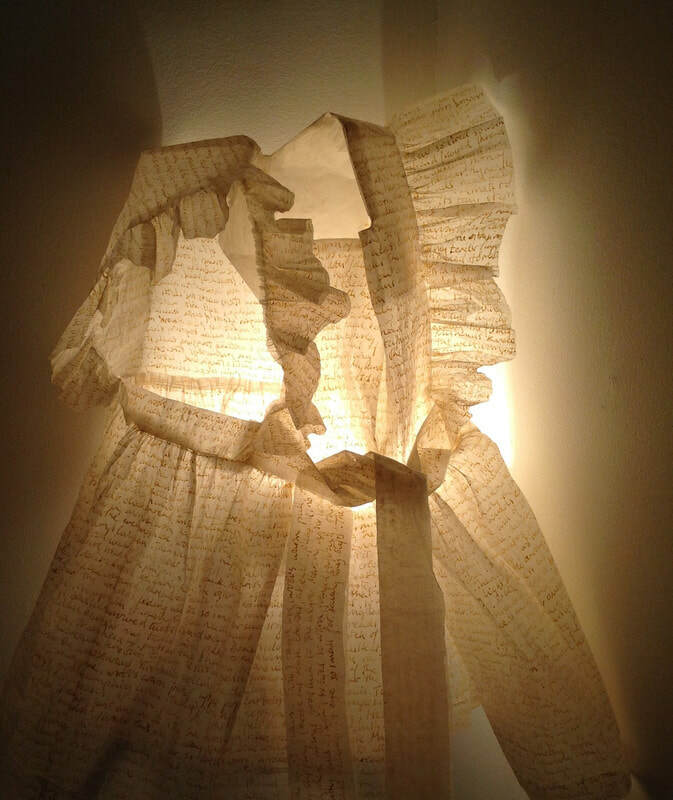 Myra has been exploring the most formative memories of her childhood, and expressing her responses to them in a series of three dimensional mixed media pieces. Her latest work is a 1950’s dress, a border section of which is pictured here. It refers to her enduring memory of watching her mother gardening. 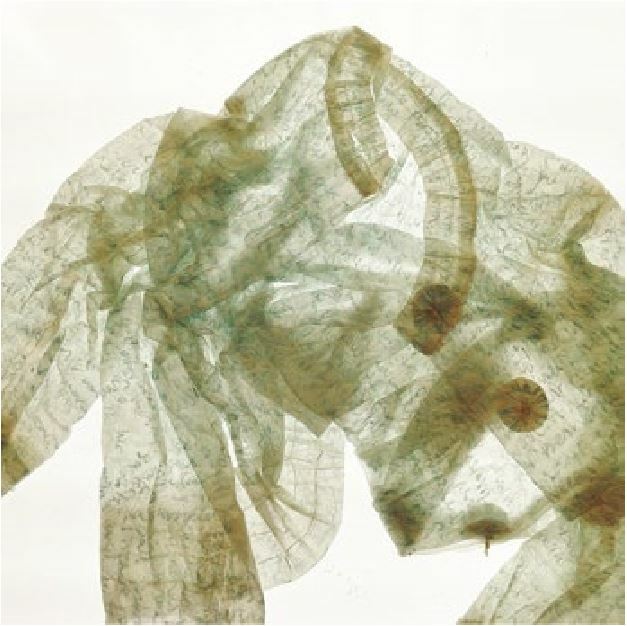 Each piece of work in this series of ‘memory clothing’ is carefully constructed using fragile silk-like tissue paper made from a natural gampi fibre. They are individually cut and sewn by hand using silk thread. 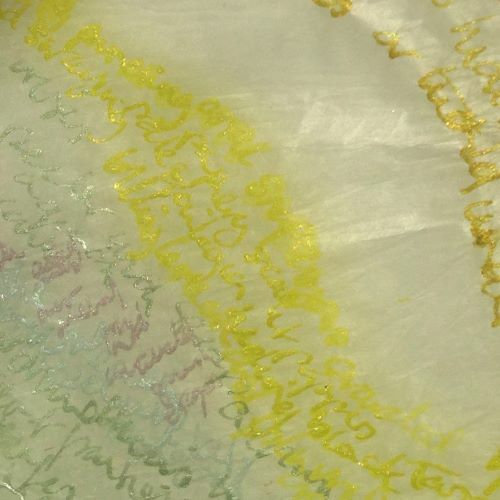 The hand written lines of her own poetry replicate the patterns of the original garment fabrics. 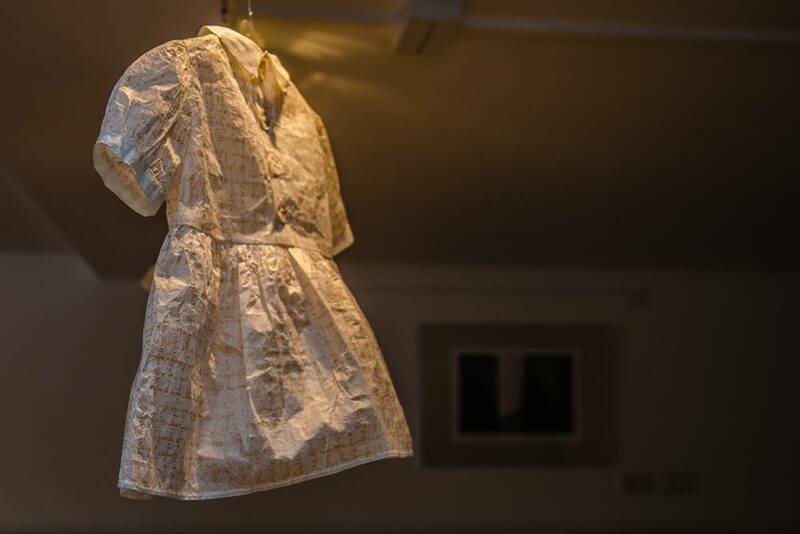 Other recent works include a series of gampi tissue dresses revisiting those made for each of her three younger sisters.